The SUV has some styling tweaks to set it apart from the rest of the Ateca range. New features include a high-gloss black front grille, aluminium roof rails, window frames and lower door trim, chrome double tailpipes, body colours wheel-arch surrounds, side skirts, and a roof spoiler. It comes with 18-inch alloys, or 19-inch alloys with a machined finish are available. 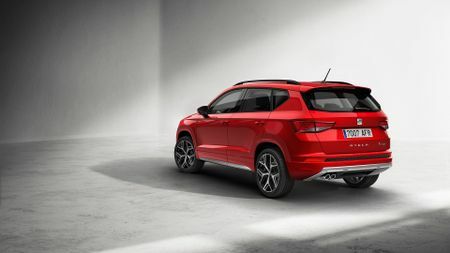 The Ateca FR has LED headlights, daytime running lights, indicators, and tail lights, along with LED welcome lighting projected on the ground from the door mirrors. Inside, drivers can choose from multi-colour ambient lighting to suit their mood. The FR also comes with sports front seats with Alcantara upholstery, and a leather-trimmed steering wheel. The infotainment system can be accessed via an eight-inch colour touch-screen, and there’s Mirror Link, Apple Car Play and Android Auto connectivity. Drivers can access eco or sport modes through the Drive Profile system, and alter the steering, throttle and DSG automatic gear shift settings, depending on your preference. And if the sporty FR trim isn’t quite enough, there are plenty of options, including advanced driving, convenience, and winter packs, a panoramic sunroof, connectivity hub with wireless phone charger, park assist, and an improved navigation package with dynamic route guidance. The Ateca FR will be available with four engines, two petrol and two diesel. All of them are turbocharged. The entry engine is a 1.4-litre petrol with 148bhp, available with a six-speed manual gearbox, or DSG automatic. It has a 0-62mph time of 8.5seconds, and a top speed of 125mph. There’s also a 2.0-litre petrol engine with 187bhp, which is debuting in the Ateca. It comes with all-wheel drive and an automatic gearbox, and can do the 0-62mph run in 7.9seconds. 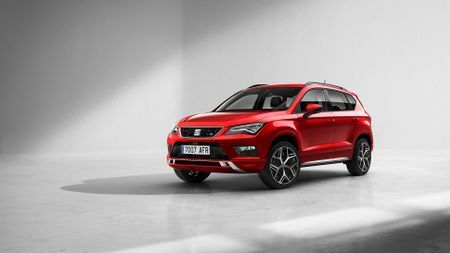 On the diesel side of things, Seat is offering a 2.0-litre engine with 147bhp, with all-wheel drive. It has a top speed of 122mph, and a 0-62mph time of nine seconds. And top of the range is a 2.0-litre diesel with 187bhp and seven-speed automatic gearbox. That manages 0.62mph in 7.5seconds, with a top speed of 132mph. 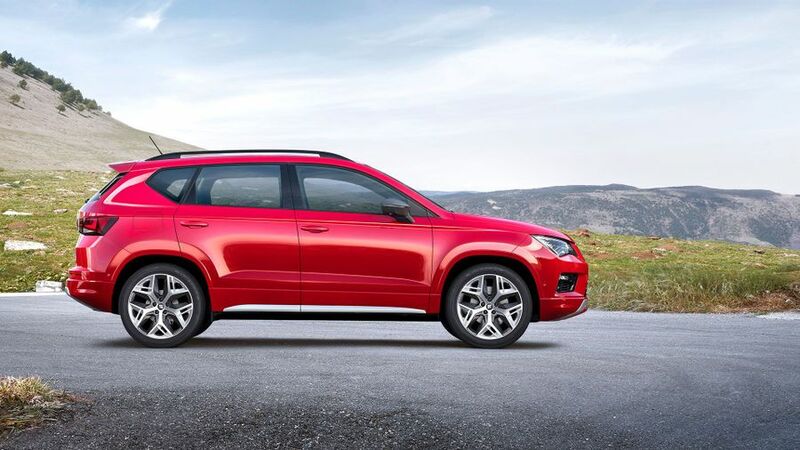 The Seat Ateca FR will cost from £24,960 for the 1.4-litre Eco TSI with 148bhp and manual gearbox, up to £30,930 for the 2.0-litre TDI 187bhp 4Drive with DSG automatic gearbox.